Aloe vera (also known as Aloe barbadensis Mill., Aloe indica Royle, Aloe perfoliata L. var. vera and A. vulgaris Lam) or Aloe is a plant belonging to the Liliaceae family, of which there are over 360 known species 1). Aloe vera are cactus-like perennial succulents and are characterised by stem less, large, thick, fleshy leaves that are lance-shaped and have a sharp apex and a spiny margin 2). The plant provides two distinct products: the yellow latex, which is referred to as aloe juice, and the leaf pulp which is the innermost portion of the leaf and is composed of the parenchyma cells whose baseline function is for storage of food and nutrients that contain the Aloe vera gel. The raw pulp contains about 98.5% water with the remaining 1.5% containing a range of compounds including water-soluble and fat-soluble vitamins, minerals, enzymes, polysaccharides, phenolic compounds and organic acids 3). The Aloe vera leaf pulp is commonly delivered as a topical ointment on wounds in a gel, cream or mucilage form (the mucilage being the thick, glue-like gel substance that is derived from the leaf pulp of the Aloe vera plant). Traditionally, the clear gel from the Aloe plant is rubbed on the skin as an ointment to treat wounds and burns. The green part of the leaf can be made into a juice or dried and taken orally as a laxative. Aloe vera is used in many commercial products in various forms, including drinks, concentrates, capsules, powders, and as a flavoring. Aloe vera’s use can be traced back 6,000 years to early Egypt, where the plant was depicted on stone carvings. Known as the “plant of immortality,” aloe vera was presented as a funeral gift to pharaohs 4). Historically, aloe vera has been used for a variety of purposes, including treatment of wounds, hair loss, and hemorrhoids; it has also been used as a laxative. Aloe vera has a long history of use as an anti-inflammatory herbal application for burns and for a variety of conditions in traditional medicine 5). Today, Aloe vera is still used as a herbal medicine. Aloe vera is used either internally or externally in humans and has some medicinal effects which have been supported by scientific and medical research 6). As a herbal medicine, Aloe vera juice is commonly used internally to relieve digestive discomfort 7) and externally to relieve skin discomforts such as minor burns, wounds and various skin conditions such as eczema and scabies 8). The topical or external applications usually use aloe-derived products, which include aloe vera cream, aloe vera mucilage, aloe vera gel etc. 9). However, crude aloe vera components such as fresh aloe vera leaf, fresh aloe vera stem, and aloe vera juice are also used as adjuvant treatment to treat skin disorders 10). Aloe vera contains 75 potentially active constituents including vitamins, enzymes, minerals, sugars, lignin, saponins, salicylic acids and amino acids 11), some of which have several pharmacological actions. These include the carboxypeptidase that inactives bradykinin, salicylates and substances that inhibit local vasoconstriction 12). The anti-inflammatory compound called C-glucosyl chromone has been isolated from gel extracts 13). It has been proven that fresh Aloe vera can promote the attachment and growth of normal human cells in vitro and enhance the healing of wounded monolayers of cells 14) whereby Aloe vera gel not only increased the collagen content of the wound but also changed the collagen composition and increased the degree of collagen cross linking 15). Some studies have shown that pure Aloe vera is effective in preserving skin circulation following frostbite injury 16) and in accelerating wound healing 17) and increasing the breaking strength of resulting scar tissue in patients 18). In addition, Aloe vera can stimulate fibroblasts, which produce the collagen and elastin fibres, making the skin more elastic and less wrinkled; and Aloe vera has cohesive effects on the superficial flaking epidermal cells by sticking them together, to soften the skin 19). To summarise, the mechanism of action of Aloe vera includes healing properties, anti-inflammatory activity, effects on the immune system, moisturising and anti-aging effects and antiseptic effects 20). Two substances from aloe vera- the clear gel and the yellow latex, are used in health products today. Aloe gel is primarily used topically (applied to the skin) as a remedy for skin conditions such as burns, frostbite, psoriasis, and cold sores, but it may also be taken orally (by mouth) for conditions including osteoarthritis, bowel diseases, and fever. Aloe latex is taken orally, usually for constipation. People primarily use aloe’s clear gel topically in creams and ointments to treat burns, the skin condition psoriasis and even acne. Some also take the gel orally to treat certain conditions. Aloe latex, a laxative, has been taken orally to treat constipation. While aloe gel is generally safe when used as recommended, oral use of aloe latex poses safety concerns. In fact, taking 1 gram a day of aloe latex for several days can cause kidney damage and might be fatal. In rodents, aloe vera caused intestinal tumors 21), 22). Is Aloe vera regulated ? Aloe vera is a dietary supplement and not a regulated drug. There is no guarantee of strength, purity, or safety of these products. Aloe vera is approved by the Food and Drug Administration as a food additive for flavor. Applying Aloe vera gel on the skin is not likely to cause harm. Aloe latex contains strong laxative compounds. Products made with aloe were at one time regulated by the U.S. Food and Drug Administration (FDA) as over-the-counter (OTC) laxatives. In 2002, the FDA required that all OTC aloe laxative products be removed from the U.S. market or reformulated because the companies that manufactured them did not provide the safety data necessary for continued approval. There’s some evidence that the topical use of aloe products might be helpful for symptoms of certain conditions such as psoriasis and certain rashes. There’s not enough high-quality scientific evidence to show whether topical use of aloe helps to heal wounds 23). There’s not enough scientific evidence to support aloe vera for any of its other uses. Burns and wounds. Application of aloe gel appears to shorten the duration of wound healing for first- and second-degree burns. Aloe gel might also promote wound healing. Acne. Research suggests that aloe gel, applied in the morning and evening in addition to the use of the topical prescription acne medicine tretinoin (Retin-A, Atralin, others), might be more effective in reducing acne than using a topical prescription alone. Psoriasis. Aloe extract cream might reduce redness, scaling, itching and inflammation caused by mild to moderate psoriasis. You might need to use the cream several times a day for a month or more to see improvements in your skin. Herpes simplex virus. Applying a cream containing aloe extract might help lesions heal sooner. Oral lichen planus. Research suggests that twice-daily application of aloe gel for eight weeks might help reduce symptoms of this inflammatory condition that affects the inside of the mouth. Whether oral use of aloe latex is effective at treating constipation is unclear. While it acts as a laxative, aloe latex can also cause abdominal cramps and diarrhea. What makes Aloe act like a laxative ? An organic component in the outer leaf pulp of Aloe leaves, known as the latex, contains anthraquinones. 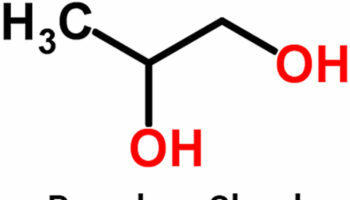 Aloin is an example of an anthraquinone found in the latex that may give the plant its laxative qualities. How much aloin is in products in the U.S. that may be consumed by the public ? There are very little data about what the levels of aloin are in the consumer products. According to published research, levels of aloin in most liquid products are less than 1 part per million (ppm); however, levels in solid or semi-solid products may be 10-100 times higher. How much aloin is in a typical drink ? This is not clear. Industry usually processes the Aloe vera leaf to make a decolorized whole leaf extract to remove aloin. Industry has a self-regulated upper limit standard of 10 ppm of aloin in orally ingested products, but there are no labeling requirements for aloin content. Aloe vera gel is generally considered safe and can be effective when appropriately applied to the skin for burns and psoriasis 24), 25). Some patients experienced burning after topical application 26), contact dermatitis 27) and mild itching 28). It might be safe when appropriate doses are taken orally for a short time. More research is needed to answer this question. However, avoid using aloe latex or or whole-leaf extract orally. Unprocessed aloe latex contains chemicals that appear to have the potential to cause cancer 29) and processed aloe latex might have cancer-causing compounds. In rodents, it caused intestinal tumors 30), 31). A 2-year National Toxicology Program study 32) on oral consumption of nondecolorized whole leaf extract of aloe vera found clear evidence of carcinogenic activity in male and female rats, based on tumors of the large intestine. Another study 33) in rats showed that decolorized whole leaf aloe vera did not cause harmful effects. This suggests that a component called aloin, most of which is removed by the decolorization process, may be responsible for the tumors seen in rats fed nondecolorized whole leaf aloe vera. More information, including what products are actually in the marketplace and how individuals use different types of aloe vera products, is needed to determine the potential risks to humans. Taking 1 gram a day of aloe latex for several days can also cause acute kidney failure and can be fatal. There have been a few reported cases of acute toxic hepatitis in people who took aloe vera supplements orally since 2005. In particular, there have been one each in Germany 34), Turkey 35), USA 36), 10 cases in Switzerland 37) and 3 cases in South Korea 38). Other side effects include abdominal cramps and diarrhea. Oral use of aloe latex and whole-leaf extract isn’t recommended for children younger than age 12. If you are concerned, have a medical condition, or are taking other drugs, herbs, or supplements, you should speak with your physician before altering existing treatments or starting any new treatment. How similar are the doses of aloin in the drinking water fed to the animals to those found in Aloe vera products ? This is not clear, as there are no labeling requirements to list aloin content. The concentration of aloin in the water that the rodents drank in the study 39) is similar to that found in some Aloe vera products, but higher than in other products. The National Toxicology Program wanted to test an Aloe preparation that includes all components that may be in the products on the market. The study used a whole leaf extract of Aloe barbadensis Miller that did not undergo charcoal filtration during processing 40). Many commercial producers of Aloe vera beverages use charcoal filtration to reduce the levels of aloin in their products. What do the National Toxicology Program rodent studies mean for humans ? What products are actually in the market place ? What are the aloin levels across a broad spectrum of products ? What are the patterns of human exposure ? There is not enough information currently available to know how much Aloe vera people are consuming or for how long. Based on what scientists know right now, there is nothing that would lead them to believe that this finding would not be relevant to humans 42). Do scientists at the National Toxicology Program have any idea what may be causing the tumors and the other effects ? Scientists suspect it may be the aloin, but they don’t know for sure 43) . They hope to do more studies to determine what may be causing the tumors. Should I stop drinking Aloe ? That is a decision you might want to make with your health care provider. Like any personal decision, the more information you have the better 44). Currently, manufacturers of these products are not required to label aloin concentration in Aloe vera products. If aloin is the cause of the tumors in rats then, generally speaking, the lower the concentration of aloin in a product, the lower the possibility that it may cause harm. Tumors developed in animals that drank water containing 60 ppm of aloin daily for nearly their entire lifetime 45). Anticoagulants and anti-platelet drugs, herbs and supplements. These types of drugs, herbs and supplements reduce blood clotting. Oral use of aloe might also slow blood clotting. Taking aloe orally with either of these types of medications might lead to increased bleeding. Digoxin (Lanoxin). Oral use of aloe latex can decrease potassium levels. Low potassium might increase the side effects of digoxin. Don’t take aloe latex and digoxin together. Diabetes drugs. Oral use of aloe gel, when taken in combination with diabetes drugs, might increase the risk of a condition characterized by an abnormally low level of blood sugar (hypoglycemia). Oral drugs. Oral use of aloe latex can decrease your body’s absorption of other drugs. This might reduce their effectiveness. Sevoflurane (Ultane). This anesthesia used during surgery might slow blood clotting. Oral use of aloe might have a similar effect. When used in combination, excessive bleeding during surgery is possible. Stimulant laxatives. Oral use of aloe latex with stimulant laxatives might overstimulate your bowels. This can lead to dehydration. Warfarin (Coumadin, Jantoven). Oral use of aloe latex can cause diarrhea. This can increase the effects of warfarin, a blood-thinning drug, and the risk of bleeding. Water pills (diuretics). Oral use of aloe latex, a laxative, in combination with use of diuretics might decrease potassium levels too much. Potassium supplementation might be needed. 1. ↵ Vogler B, Ernst E. Aloe Vera: a systematic review of its clinical effectiveness. British Journal of General Practice 1999;49(447):823-8. 2. ↵ Steenkamp V, Stewart M. Medicinal applications and toxicological activities of aloe products. Pharmaceutical Biology 2007;45(5):411-20. 3. ↵ Hamman J. Composition and applications of Aloe vera leaf gel. Molecules 2008;13(8):1599-616. 4, 20. ↵ Surjushe A, Vasani R, Saple DG. Aloe vera: a short review. Indian Journal of Dermatology 2008;53(4):163-6. 5, 13. ↵ Hutter JA, Salmon M, Stavinoha WB, Satsangi N, Williams RF, Streeper RT, et al. Antiinflammatory C-glucosyl chromone from Aloe barbadensis. Journal of Natural Products 1996;59(5):541-3. 6, 9. ↵ Vogler BK, Ernst E. Aloe vera: a systematic review of its clinical effectiveness. The British Journal of General Practice 1999;49(447):823-8. 7. ↵ Langmead L, Feakins RM, Goldthorpe S, Holt H, Tsironi E, De Silva A, et al. Randomized, double-blind, placebo-controlled trial of oral aloe vera gel for active ulcerative colitis. Alimentary Pharmacology and Therapeutics 2004;19(7):739-47. 8. ↵ Feily A, Namazi MR. Aloe vera in dermatology: a brief review. Giornale Italiano di Dermatologia e Venereologia 2009;144(1):85-91. 10. ↵ Zhang GD. The study of aloe, sea tangle preventing the chemotherapy phlebitis by using external paving [芦荟外敷、海带外敷预防化疗性静脉炎的研究]. Lishizhen Medicine and Material Medical Research 2010;21(4):1011-3. 11. ↵ Shelton M. Aloe vera, its chemical and therapeutic properties. International Journal of Dermatology 1991;30(10):679-83. 12. ↵ Klein AD, Penneys NS. Aloe vera. Journal of the American Academy of Dermatology 1988;18(4 pt 1):714-20. 14. ↵ Winters WD, Benavides R, Clouse WJ. Effects of aloe extracts on human normal and tumor cells in vitro. Economic Botany 1981;35(1):89-95. 15. ↵ Chithra P, Sajithlal GB, Chandrakasan G. Influence of Aloe vera on collagen characteristics in healing dermal wounds in rats. Molecular and Cellular Biochemistry 1998;181(1-2):71-6. 16. ↵ McCauley RL, Heggers JP, Robson MC. Frostbite. Methods to minimize tissue loss. Postgraduate Medicine 1990;88(8):67-8;73-7. 17. ↵ Fulton JE Jr. The stimulation of postdermabrasion wound healing with stabilized aloe vera gel-polyethylene oxide dressing. The Journal of Dermatologic Surgery and Oncology 1990;16(5):460-7. 18. ↵ Heggers JP, Kucukcelebi A, Listengarten D, Stabenau J, Ko F, Lyle D, et al. Beneficial effect of aloe on wound healing in an excisional wound model. Journal of Alternative and Complementary Medicine 1996;2(2):271-7. 19. ↵ West DP, Zhu YF. Evaluation of aloe vera gel gloves in the treatment of dry skin associated with occupational exposure. American Journal of Infection Control 2003;31(1):40-2. 26. ↵ Fulton JE. The stimulation of postdermabrasion wound healing with stabilised aloe vera gel-polyethylene oxide dressing. J Dermatol Surg Oncol 1990; 16:460-467. 27. ↵ Williams MS, Burk M, Loprinzi CL, et al. Phase III double-blind evaluation of an Aloe vera gel as a prophylactic agent for radiation-induced skin toxicity. Int J Radiat Oncol Biol Phys 1996; 36: 345-349. 28. ↵ Syed TA, Afzal M, Ahmad SA, et al. Management of genital herpes in men with 0.5% Aloe vera extract in a hydrophylic cream: a placebo-controlled double-blind study. J Dermatol Treat 1997; 8:99-102. Is collagen good for you ?